Hard challenges await the Friday Street Station as the “darkly comic police drama…praised for its strong female characters” (Radio Times, UK) returns. 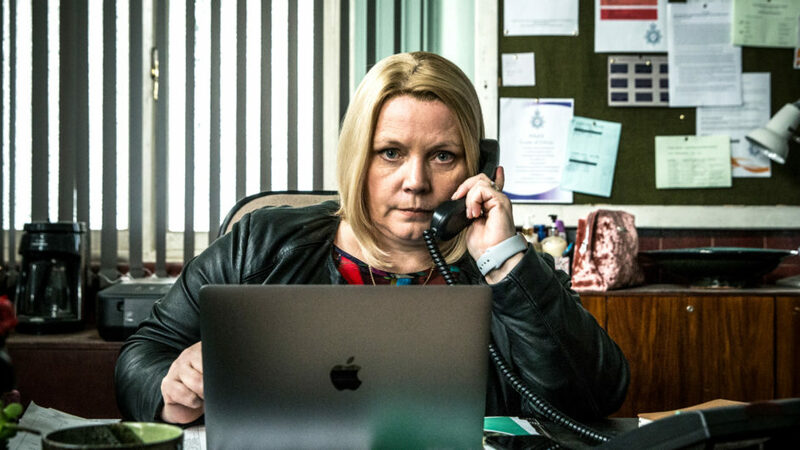 Series 3 finds dynamic DI Vivienne Deering (Joanna Scanlan, Notes on a Scandal) and her team providing security at a contentious election debate, but tragedy strikes when a gunman attempts to assassinate one of the candidates. Deering and her right-hand woman, DC Dinah Kowalska (Elaine Cassidy, Acceptable Risk), vow to apprehend the culprit, despite warnings from their superiors that the investigation could jeopardize an undercover officer who has infiltrated an extreme right-wing group. Will Deering get justice for her team, or will her unconventional policing methods finally go too far? Created by legendary writer Paul Abbott (Shameless, State of Play), this award-winning series also stars Will Mellor (Broadchurch), Paul Ritter (Vera), Sharon Rooney (The Tunnel), Claire Rushbrook (Requiem), and Lisa McGrillis (George Gently).